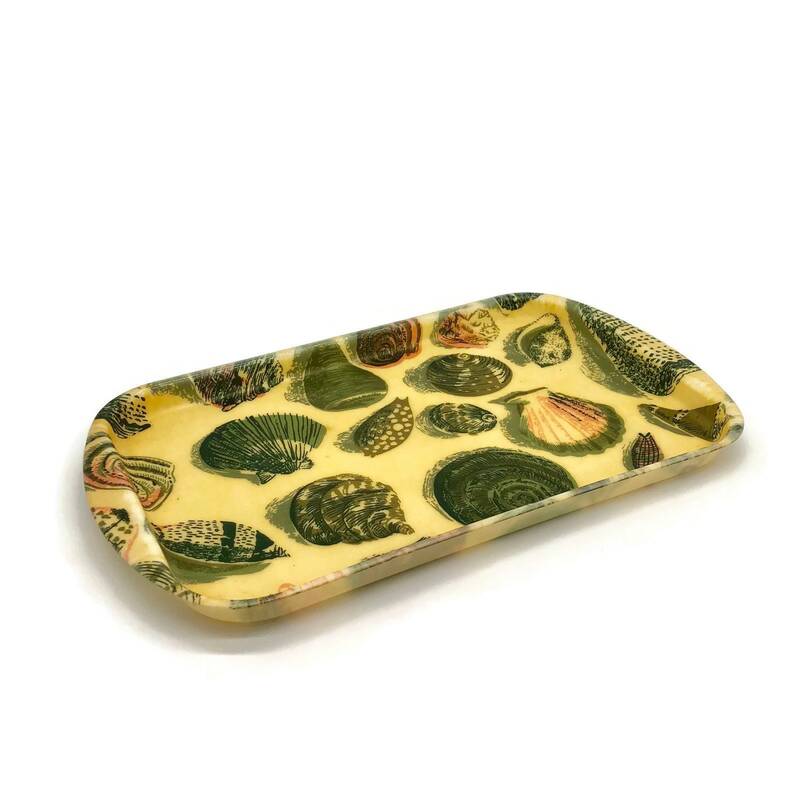 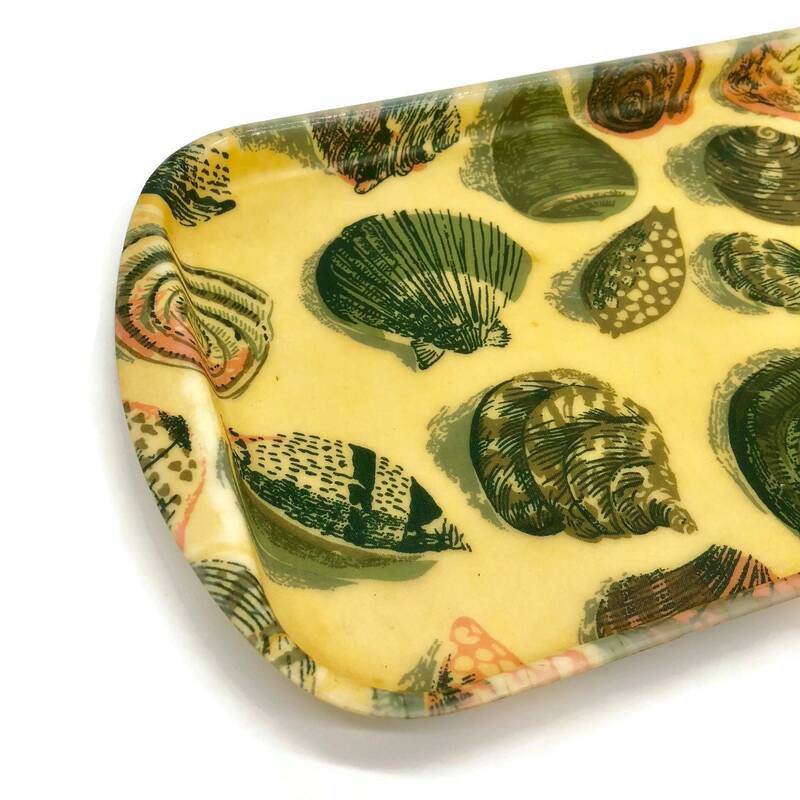 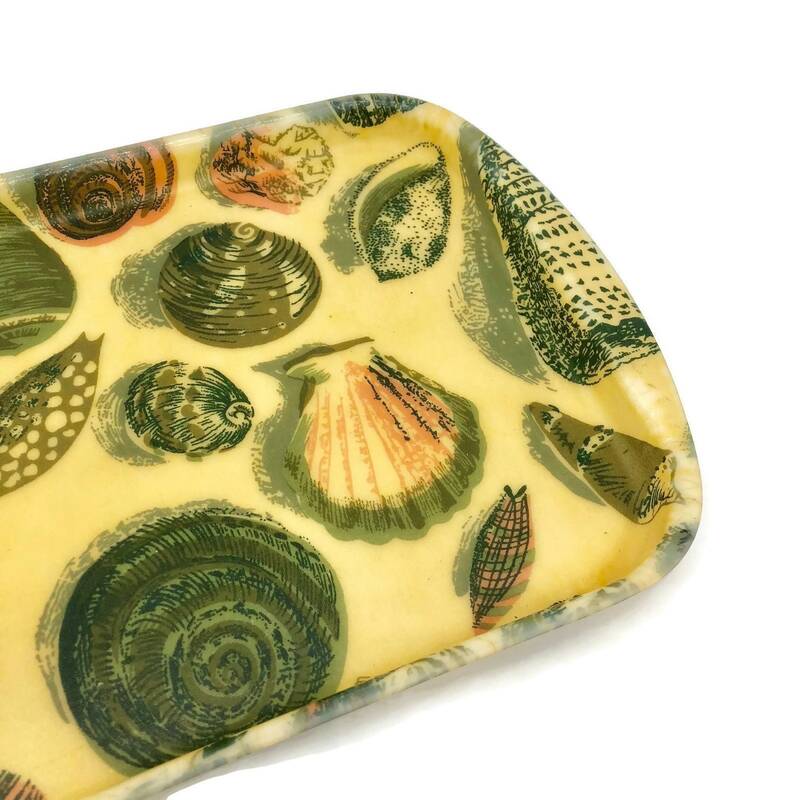 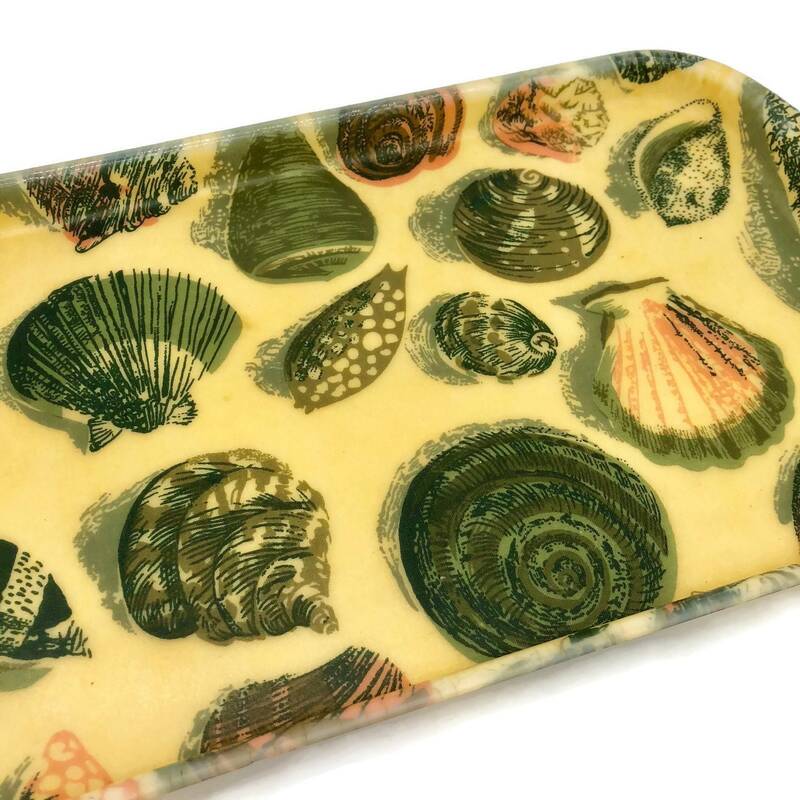 Vintage fiberglass tray with a seashell design - shells in olive green, pink and moss. 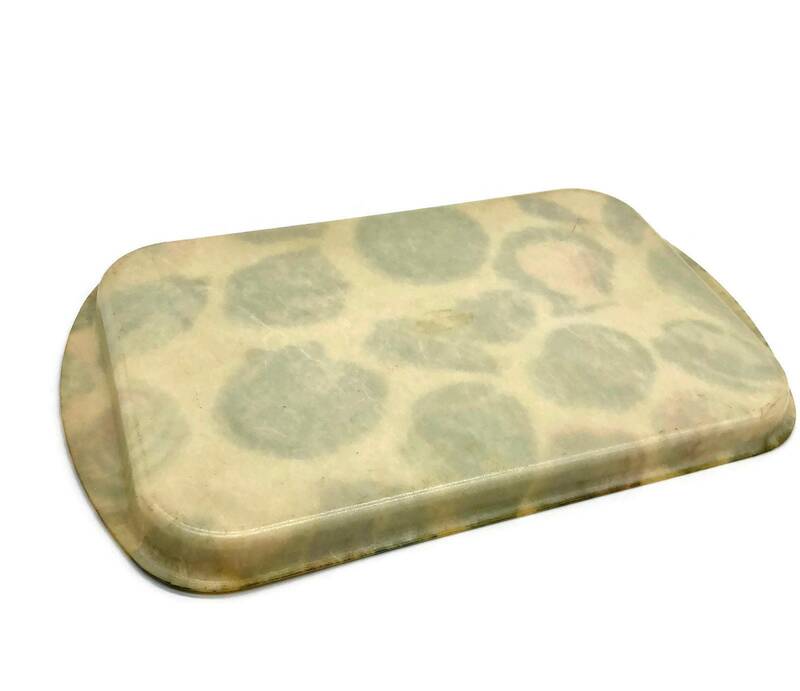 There are some age spots but still would look awesome on a vanity or at a bar. 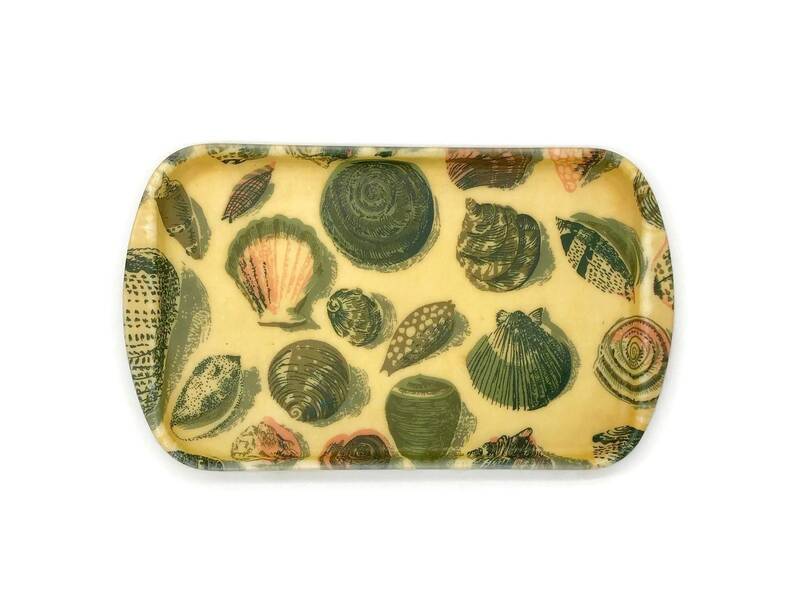 The bottom of the tray is stamped Revilite Eubanks.